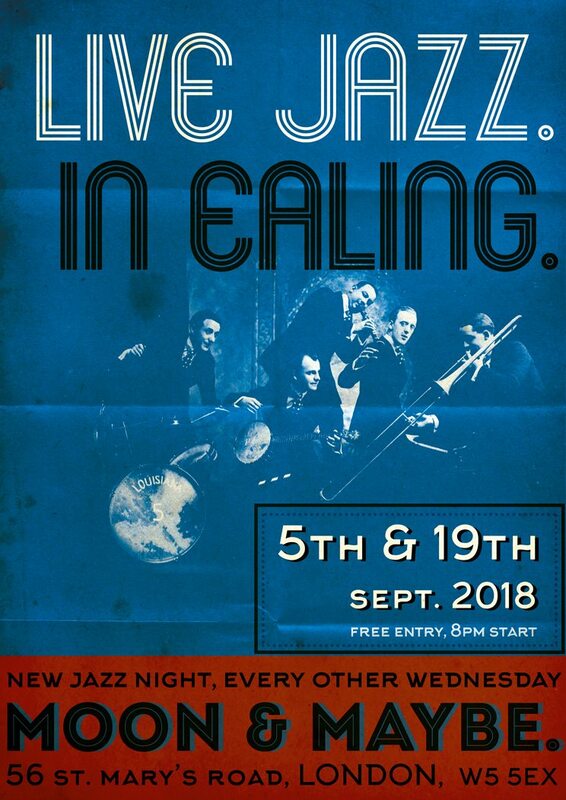 Live Jazz every other Wednesday in Ealing. Performances from some of London's best Jazz musicians who regularly perform at venues like Ronnie Scott's. Planned for every other Wednesday but check via Ealing Jazz at The Moon & Maybe Facebook page for planned dates.